General Hospital (GH) spoilers say Anna Devane (Finola Hughes) is far from home and in danger. The doctor treating Anna is a colleague of her sister Alexandra (Alex) Devane Malick and he seems to be a co-conspirator of Alex’s. Dr Lancaster tried to ignore Nurse Caroline who insisted “Alex” was trying to speak until the point it became undeniable then it seems he was trying to figure out how to silence her. Clearly, this Dr Lancaster does not have Anna’s best interests at heart and knows exactly who she is. When Anna finally got her head clear enough to speak and said it’s a mistake, Lancaster shot her up with more sedatives to knock her out again. Nurse Caroline was shocked because “Alex” was already heavily sedated and he was piling drugs on top of drugs. However, the goal is not to kill Anna. Over in Port Charles, when Griffin Munro (Matt Cohen) stopped by to chastise fake Anna for missing her cancer treatment, Alex got on the phone and ordered one immediately. The missing piece of the puzzle was that Alex was calling the UK hospital to order the treatment for her sister Anna. Alex didn’t even know Anna had cancer – all she knew was that Anna had access to something she needed. Way back on All My Children, Alex worked briefly for an evil cartel at the behest of Charlotte Devane, the woman she thought was her mother. Alex even tried to kill Anna at one point but her brainwashing was cleared up, the fake mom was exposed and Alex went on to settle down into a neurology practice in Europe happily married and seemingly normal. Now General Hospital writers have made her into something else. General Hospital spoilers tease that Alex is back to working for a cartel and it seems to be DVX for Cesar Faison (Anders Hove). But what about Anna? Anna now knows her sister has done this to her – abandoned her under her own name and ran off to Port Charles to trick Valentin Cassadine (James Patrick Stuart). Anna needs to get out of the UK and back to New York. This week, Anna gets an ally in her struggle to get away. Anna wins Nurse Caroline over to her side once she explains who she is and how she’s related to Alex Malick. 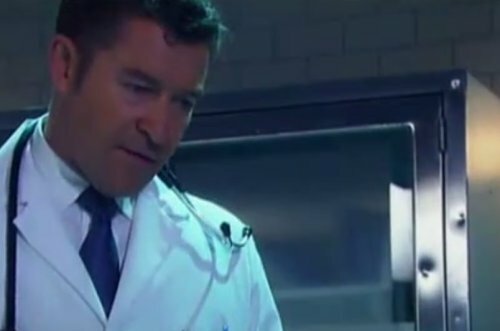 General Hospital spoilers reveal that from there, Caroline tricks the doctor into thinking Anna is sedated by swapping meds or telling him she already administered the meds. Once Dr Lancaster buys the story, Caroline can sneak Anna out of the hospital and from there, it’s on the British spy to get back to Port Charles to stop Alex. Back in Port Charles, Robin Scorpio Drake (Kimberly McCullough) notices something is off about her “mom” and others too have figured out Anna is not herself. As the net closes on Alex, it all explodes at the Nurse’s Ball when Anna shows up to confront her wicked twin. Most shocked of all will be Valentin who had no idea he’d been double dealt by Anna and Alex. This all comes out as the Chimera Project is revealed. It seems that Anna will be back in Port Charles just in time to stop Alex and save her loved ones from Helena Cassadine’s (Constance Towers) terrible Chimera plans. Share your comments below on Anna’s shocking return to Port Charles and tune into CDL often for more General Hospital spoilers. Are You Excited To See Anna Confront Alex At The Nurses’ Ball? General Hospital Spoilers: Is Maxie Hiding a Pregnancy?